Three childrens play areas, and a tennis court /football field. site also boasts its own 'galleon' which doubles up as a bar area! and ordinary taxis, as well as water transport to Nessebar. Day coach trip to Istanbul in Turkey will set you back around £90. Eastern Europe, is also only 35km away. alternative to Sunny Beach's excellent sands. Sunny Beach and Sveti Vlas. 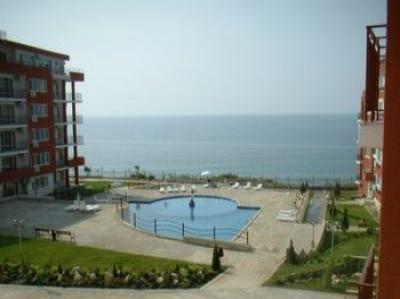 Bulgarian Black Sea Coast and is ideal for a fabulous beach holiday. to spend a day at the local Action Aqua Water Park. restaurants offering traditional dance shows and food. Nessebar - A world heritage site just 3 km from Sunny Beach! meal in one of its many restaurants - fish a speciality! Places to visit - Balgari-Home of Bulgarian Fire Dancing!